When I was little my mother would put my initials in just about everything. This prevented the inevitable “Is this mine?” confusion that happens when every kid has the same lunch box, jacket, mittens, etc. While monogramming has been around forever, I’ve noticed in the past few weeks that it’s truly been trending. Everywhere I turn there seems to be another tutorial on how to proudly display your initials, with everything from monogrammed jewelry (something that seems to be particularly popular at the moment), to mugs and homemade Christmas ornaments. My Pinterest has been flooded with monogrammed coasters, pillows, bags, and necklaces. 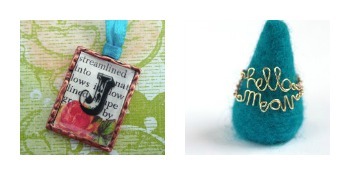 Even my Etsy newsletters have been filled with monogrammed home decor and jewelry. With school graduations coming up, and wedding and baby shower season kicking into high gear (I like to call this time of year “Milestone Season”), I thought it might be fun to share some fun ways to make something personal for the special people in your life. In my opinion there’s truly nothing better than receiving a homemade gift. Even if it’s not perfectly crafted, it holds so much more meaning knowing that the person spent time creating something so thoughtful. After all, it’s the thought that counts! 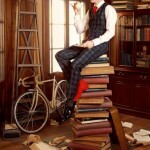 Monogramming goes even one step farther, making it personal for them as well! 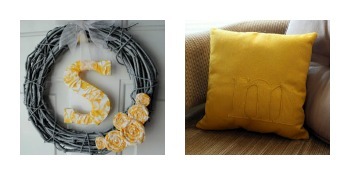 Just think how perfect a monogrammed pillow or wall decoration would be for your graduate, or some monogrammed glasses or coasters would be for a pair of newlyweds. 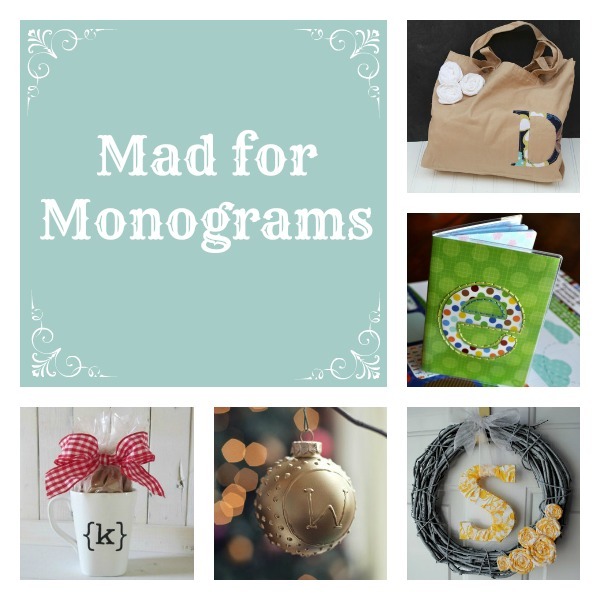 Let’s go mad for monograms with the help of these wonderful tutorials! 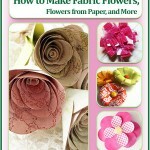 Looking for more homemade gifts? 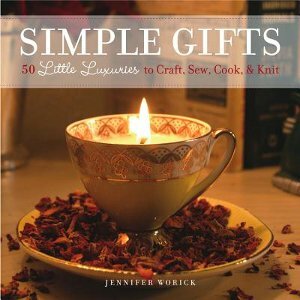 Check out the book Simple Gifts: 50 Little Luxuries to Craft, Sew, Cook and Knit and win a copy from AllFreeChristmasCrafts! The contest runs until March 25, 2014, don’t miss out on your chance to win! Monograms will never go out of style! 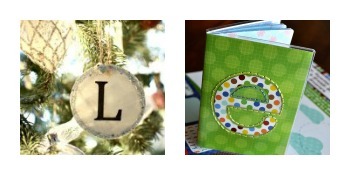 All the monogram crafts listed above are great to make for yourself or as a gift for someone else. Especially, with wedding season coming up give a shower gift that will stand out.